At Holy Trinity we are passionate about supporting young adults. As a resource church for the area we run a network aimed at gathering and connecting young adult Christians from across the local area. Whether you have moved to a new town in Buckinghamshire for work or study, or moved back to the area after studying away, all are welcome. Whatever age or Church you currently attend we’d love to connect with you through Fuel. 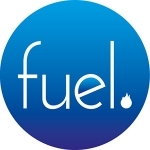 ‘FUEL’ is a network of 20’s & 30’s across Aylesbury and beyond, that seeks to encourage peer discipleship, leadership and involvement in local churches. There are regular social and worship gatherings, as well as events focused on building up the Millenial generation, that are led, organised and run by the Millenial generation! At Fuel we think journeys of faith are important. This means welcoming everyone, wherever you are, or whatever stage of faith, or not, you’re at. WHEN & WHERE DOES FUEL MEET? For more information about young adults at HT, please do get in touch!